First up is MITEK and general manager Sarah shows us how their identity management system works – KYC and a ‘pleasant digital experience’. With hundreds of thousands of people using their tech every week, they have a ‘unique insight’ that helps them identify forgery techniques, and they use AI and deep learning to improve the software. 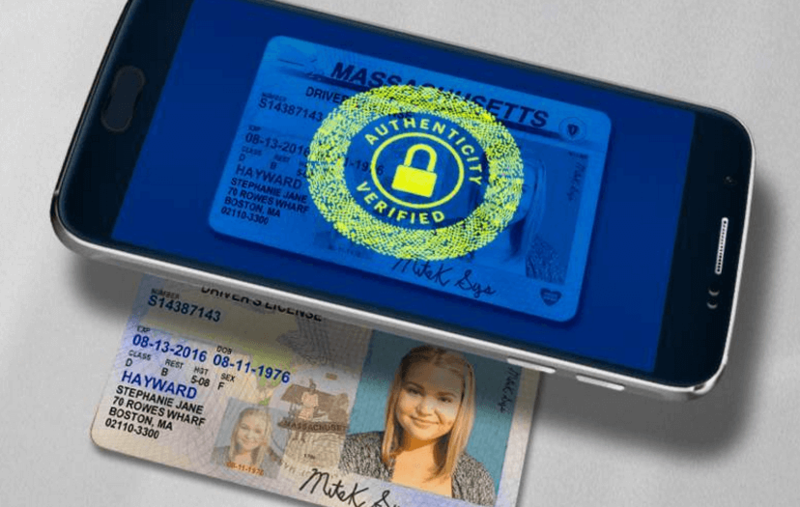 Mobile Verify is a product for ‘Global omni-channel identity verification.’ A mobile SDK is used to capture a picture of an ID card, the data from it is collected, and compares it to the selfie of the person. With an Android, the NFC tech can be used to read the chip on e.g. a passport, and pull the data including picture from that too. This provides an extra layer of authentication that the customer isn’t using a photocopy. The selfie (with blinking and movement) shows the bank that the customer is really there and is a real person. It is the ‘most robust… most advanced… most secure KYC.’ Apparently they have millions of users. XIGNITE offers financial markets data APIs (‘for your apps, in the cloud’) and handle 1.5 trillion requests on some time basis that I didn’t note down. ‘Reports of the death of API are greatly exaggerated,’ says founder Stephane. Their tool, Global Fund Fundamentals, can be used for wealth management platforms and roboadvisors. It can be deployed quickly and is particularly useful if you need data on new and developing markets. 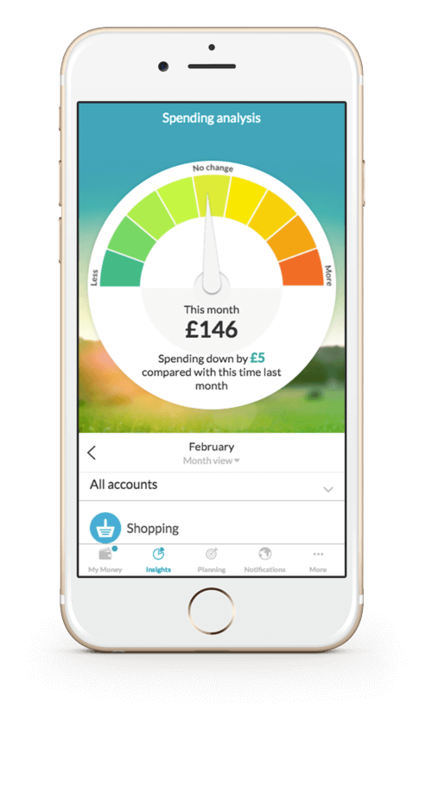 TINK, an app and also provider of software to the likes of SEB and ABN AMRO, presented their app that helps you keep all your money in one place, from any number of banks, and stay on top of your finances. And improve on them! They have 400,000 users (in Sweden, where all the tech is made in-house) and raised 10m euros last year. They aggregate, clean and categorise data from bank accounts – the ‘classic PFM features’ – and they offer a feed with a chronological narrative, along with tips on how to save . When they offer a new product to a customer, the KYC is done within the app – in just 1 or 2 mins because so much is already known about them. (At the end of the process there is a notification saying NICE WORK with an emoji… I liked that). All payments and transfers, within or between banks, can be carried out, using the same authentication as the bank uses. Another PSD2 ready platform! Looking for business partnerships. 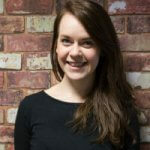 UNBLU was another contributor talking about ‘creating an in-person experience online’. Their tech focused on increasing engagement and sales on online channels, also with a co-browsing functionality. The example shown was someone filling in a form for a loan and getting stuck. A pop-up asks if they want to call for support, they confirm their ID with a PIN sent to their phone, and then the advisor can co-browse – within a native app, or mobile/desktop browser. If at any time the customer navigates to their home screen, the screen the advisor sees goes black, protecting the customer’s privacy. Otherwise, the advisor sees exactly what the customer sees. They can point to and highlight elements, chatting at the same time to offer guidance. Situational analysis is applied to find the best time to add this to the customer journey. There are ‘protected fields’ that are locked, for compliance reasons, and only the customer is able to submit the completed form. The advisor, from their end, can even apply certain discounts if it is thought that will help seal the deal. TI&M didn’t seem totally prepared to present, but the Swiss team had taken the time to print t-shirts to help us see that one was playing a client, one a call agent, and one a moderator. 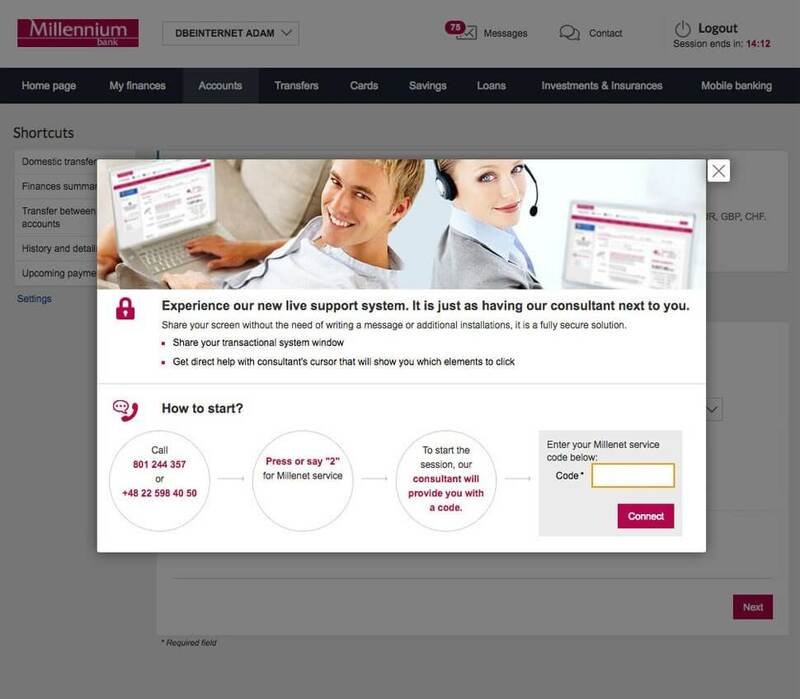 In their demonstration, for ‘end-to-end digital onboarding’ that is ‘fast but also 100% secure’, they explained that their ‘dynamic but compliant’ forms would change based on user inputs. They showed how an SMS code, taking a selfie, waving an ID, and using a password as a digital signature, could be used as a full onboarding journey. It’s also fully responsive. They offer genuinely regulated financial advice, thanks to a combination of algorithms and the human touch. They were promoting the PENSION WIZARD app, something they are selling into businesses as something HR can offer as an employee benefit. Data for the form would be pre-filled by your HR file, you can set a pension INCOME goal (it is income focused) and use the ‘playground area’ to see what you might need to change in order to reach that goal. The data, it seems, is fed back to HR. I spoke to CEO Andrew Firth about how he was migrating older people to the app and he said they are using the traditional methods first – talking to companies, going in to do seminars, leaflet drops and so on. 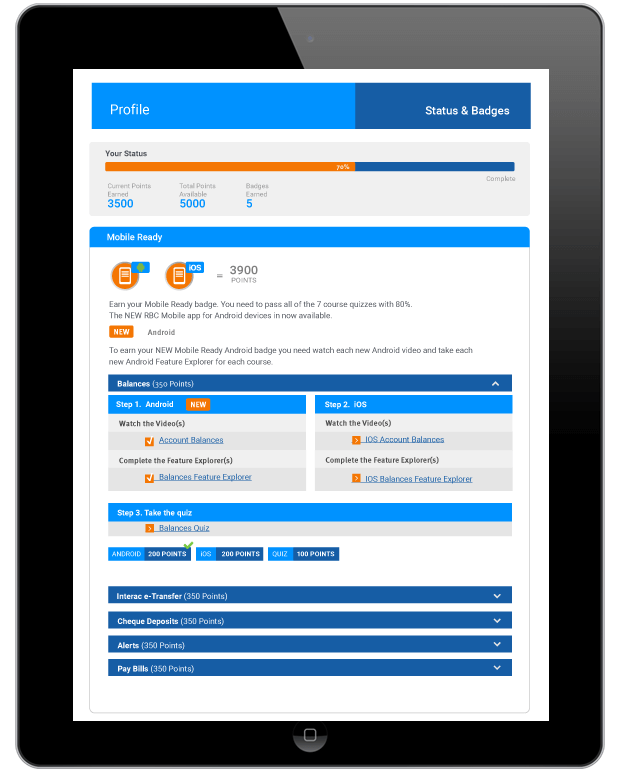 They have seen good engagement once people sign up for the app, and he is optimistic about people using it frequently. i-exceed technology solutions introduced the Appzillon technology suite, apparently used by 50 banks globally. They mentioned PSD2 and Open APIs, but with a particular focus on corporate customers. 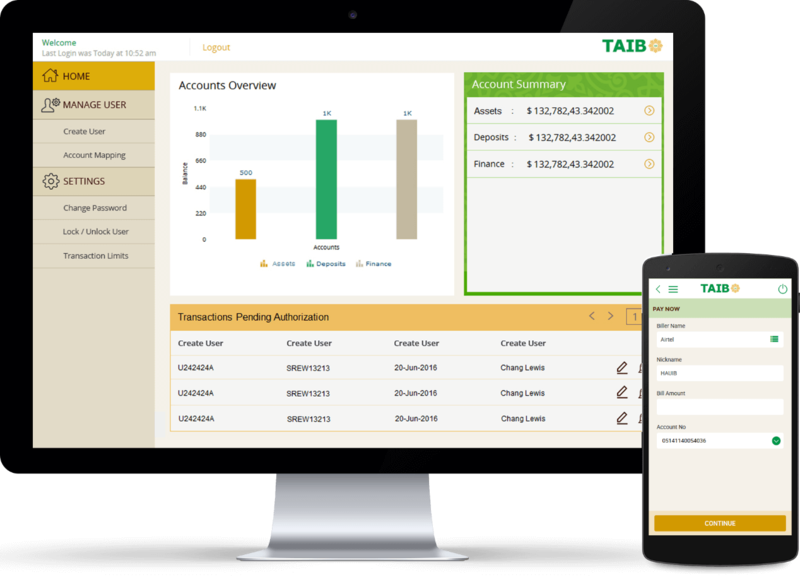 The Treasure IT cash management app, for example, offers account aggregations and a chatbot, social plugins and real-time balances and transactions thanks to receiving data via API from banks. The coolest part was their cashflow tool for liquidity – drag and drop accounts to show where money should be ‘swept’ from and to, at what level, and visualise the structure. You can really easily add another account (it was quite slick) with your normal account details plus a one-time passcode. They ‘leverage APIs’ to ‘give power to the client’. eToro, the world’s ‘largest social trading network’, with 6m customers in 100 countries, presented their solution. Users can follow (and copy) top traders, publish their own stats, and enjoy around 20% returns. Everyone can trade on the global markets and use ‘the wisdom of the crowds’ to trade stocks, ETFs, currencies and cryptocurrencies, with detailed analysis provided on all investments. They have a new tool, CopyFunds, which is based on machine learning and lets people invest around themes. They launched a CopyFunds platform for partners (such as AlphaCore who are already on board). ITSECTOR demonstrated its FlowCredit app, making mention of PSD2, third party APIs and augmented reality. Applying for a car loan online? Your bank can make a credit offer, via chatbot, appearing based on your preferences and location. It will automatically calculate the offer based on your history, and the bot measures your frustration so it can pass you seamlessly to a real agent if required. It can also grant credit to new-to-brand customers in ‘real time’. They do tons of other software though. WORLDCORE works in the payments space, gathering 17k clients in under 18 months. They talked about ‘flexible, usable onboarding’ with the emphasis on security. In the card acquiring space they are replacing passwords with voice authentication (VoiceKey) and now facial recognition (FaceKey), with 2 angles used to confirm it’s not a fake. ‘Passwords are going the way of the dodo,’ said Marketing and PR director Sean. HORIZN was a bit different, focused on solving the problem of accelerating adoption – quickly training customers and staff on how to use new features of your technology, for example. ‘Build it and they will come is a myth,’ claimed CEO Janice Diner. ‘We incite employees and clients to learn your latest digital innovation fast.’ Using micro-learning, gamification, rewards, social networks and rankings, they have created ‘the candy crush of learning’ and seen loyalty and engagement increase alongside adoption. It can be used for in-branch demos as well as in call centres to ‘syndicate learning’. TWISTO PAYMENTS provide credit (‘fair financing’) for online and offline clients on a daily basis. They have a unique risk engine that helps provide financing solutions for underserved segments, offering credit at point of sale with ‘Buy now pay later’. (They do a quick credit check and 80% of users are approved – and can then be converted to hold a Twisto account!) Twisto pays the merchant and the user pays Twisto back in 15 days with 0% interest. The user sees all the transactions in the app, they are categorised and 97% of users love it. Twisto can also be used to pay bills simply by taking a picture of it. The soon-to-launch Twisto card offers good FX rates and personalised offers. ‘Pan-European leader in payments’ WORLDLINE’s father/son roleplay was rather funny. They talked of bank switching in the digital age and were launching some tools intended to attract and retain customers – providing a link between banks and fintechs, using the internet of things. A digital piggy bank! Along with an app, to help kids learn about saving and recognising coins and so on. Quite silly but the NFC pig nose was a useful way to add to your child’s savings in an increasingly cashless world. You could also set up savings goals and use Facebook to promote an ‘event’ e.g. bike desired for birthday, to garner contributions and messages. Graham and Nigel presented HotDocs, ‘automated document assembly software’ that involved tagging a word document to turn them into templates. They said it reduces risk, produces documents (like credit agreements) better, faster and cleaner, and uses dynamic forms to gather only the info that is required (based on answers to previous questions). Increase productivity fourfold. Use as a standalone solution or integrated with other software. AVOKA wants to ‘make it easier for people to buy’ with their customer acquisition software. The demo showed a loan application, with analytics applied to find mistakes/flaws in the form, as Amazon does. This reduces errors and abandonment. It uses your phone provider to fill in personal details (first! So you have generated a new lead!) and then Yodlee to pull info from the current account once the user logs in with the same details. It eliminates the paper process. There is also an e-signature element, also provided by a partner. They use ‘analytics and agility to optimise the sales experience’ and offer access to other fintech providers. Boom. InvoiceSharing helps with invoicing. Invoices and receipts can be scanned and OCR tech/robots can be used for ‘touchless accounting’. Maybe. ‘Bookkeeping is fun like this.’ The working capital assistant can advise on cash flow and be a trusted financial advisor. Based in India, Markets Mojo basically provides information on companies to help with your investment portfolio. They have 100% coverage of listed companies and 30m data points. Optimise, buy and sell within the platform. A lot of data… it does look incredibly comprehensive. ICON SOLUTIONS presented around instant payments, saying that banks and PSPs should use open source code. They had a flowchart that helped you create executable code for payments. It was funny when they said ‘No jargon!’ when it was probably the most techy thing we’d seen. Apparently it is ‘flexible for future use’ allows for ‘rapid deployment’ and their codified knowledge exists in scheme packs (something like templates?!) for faster go-to-market. The solution includes the design, analysis and automated testing of code so it can be executed in minutes. ICAR had a decent onboarding (read: identity verification) solution. Customers give their email and phone, then scan their ID, information is auto captured, a biometric solution is then used to confirm likeness (blinking required in the selfie). Data is captured from the ID so form-filling is easier, and testing is done on the info provided to verify the person – including a social network score, geolocation test, existence of address and so on. Caixa Bank is a customer and they have 20m users around the world. FINTEC SYSTEMS (Martin and Max) is a banking API provider offering ‘real-time financial data access.’ They help banks reduce fraud and risk by digitising the process and accessing unstructured and missing data. Their new product, Accourate, is a digital loan application process. Banks can see everything about the customer – analyse cashflow, income and employer, etc. Customers can perform precise categorisation and subcategorization. Financial data analysis across Germany, Austria, Switzerland and Spain. Easy to integrate – white label and customisable. SENTIFI talked about making use of information on financial markets – ‘crowd-based financial marketing intelligence’. They have launched Sentifi Alerts, helping you save time but ‘listen to millions of voices’ (5,160,791 according to the website). They analyse unstructured data, with self-learning algorithms looking at context as well as content. It picks out the relevant info for you. CREALOGIX presented a VR solution that looked like the other PSD2-ready solutions we’d seen except with virtual reality goggles. 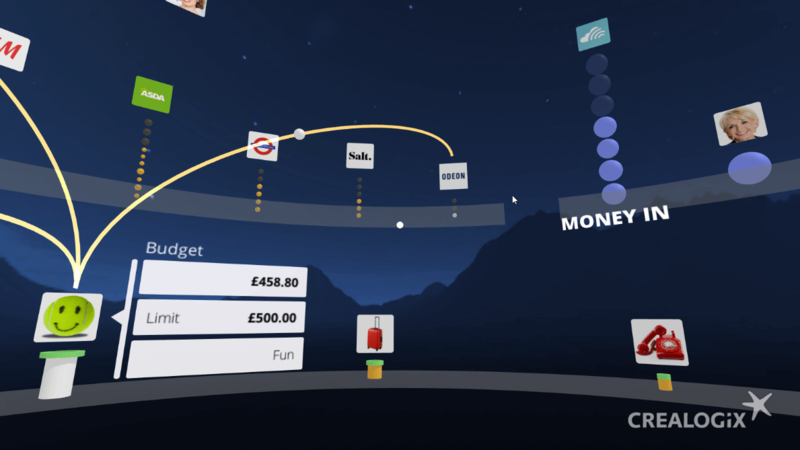 So, users get a very visual overview of finances, spending, budgets and investments. They advised banks to think about implementing it now i.e. ‘fix the roof while the sun is shining’. It is fun to apply [for a banking product] but still compliant! Smile and sign ‘leverages the digital trust platform’ – from step one, security is validated. 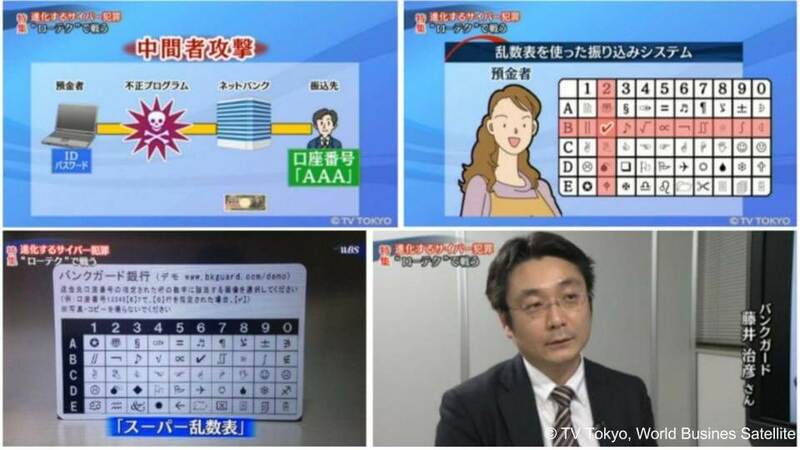 It records what the user sees and does, I think, to create a confidence score. Another one that uses a selfie for authentication. It offers ‘strategic professional development’ (or quizzes) and links to FCA resources. 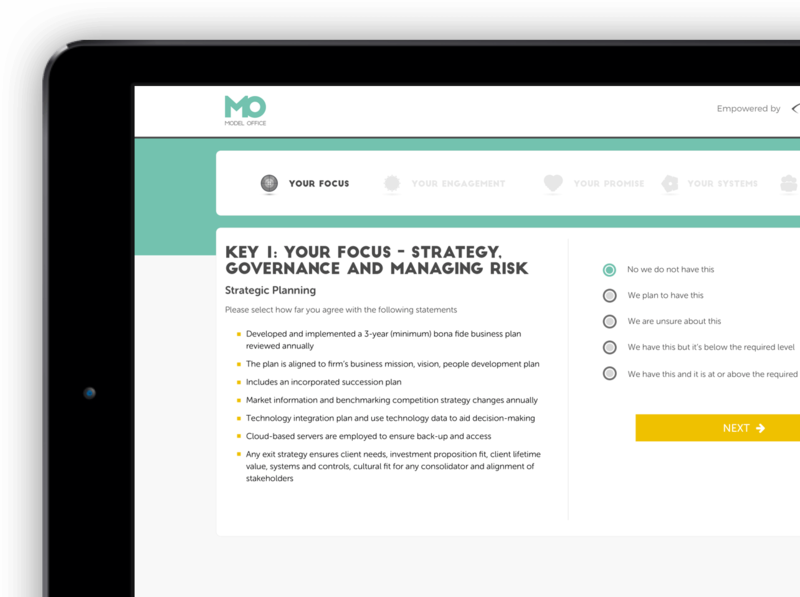 You get a ‘balanced scorecard’ and a CPD certificate for completing these quizzes, but can also benchmark your company’s performance against others and get steers for where you need to focus. Global. BANK GUARD is a novel security solution based on using images instead of numbers/letters, for creating one-time passcodes – i.e. replacing a card reader – and authenticating transactions. It’s a grid/matrix and you pick the image corresponding to the letter/number as required. It’s fine if you have low IT literacy and doesn’t need batteries so is low cost and will last. Presenter Ted Kumon says there are 270 credit unions using this ‘technology’ and any bank could easily introduce it. Their newest product is SUPERMONEY – where customers put their palm over a phone (at POS) and their face appears and if it matches that’s them verified. In 4 years, Trustly has reached 29 markets and had 800% growth. It’s a direct debit product that helps with conversion (driven by convenience), churn, and security. It’s the ‘most secure payment solution’ and one use case is insurance companies. You can set up a recurring payment via Trustly for insurance. You use the authentication your bank uses and confirm the direct debit. Also good for online shopping and gaming. ‘Select your bank and log in with your regular access codes over a secure, encrypted connection. Choose the account from which you wish to pay (for example, your savings account or current account). Verify your purchase.’ But I think there is another element that helps you if your bank details expire or change or something. Hope you’ve enjoyed our round-up as much as we enjoyed the event. See what other events we will be attending here, and contact us if you’d like more information about anything we’ve talked about!